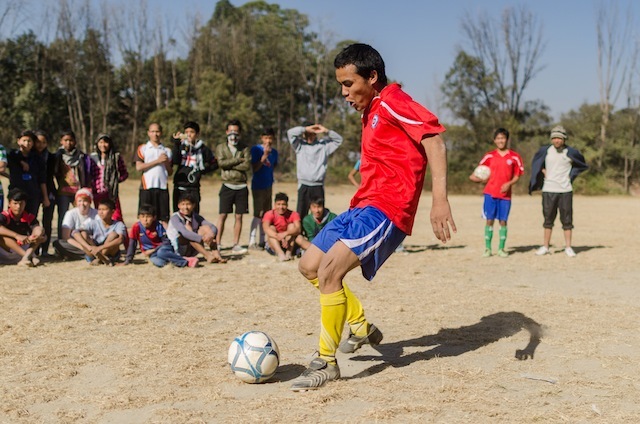 On December 25th, all Umbrella children and youths in Kathmandu made their way to Tribhuvan University grounds for the yearly Christmas Cup football tournament. 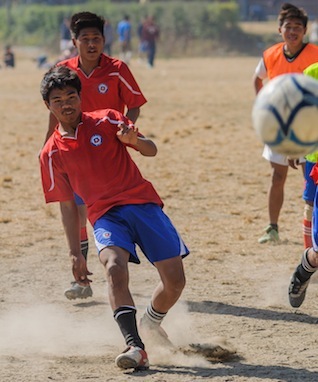 Annapurna’s A Team and the Youth’s A Team were hot favourites to pinch the title. 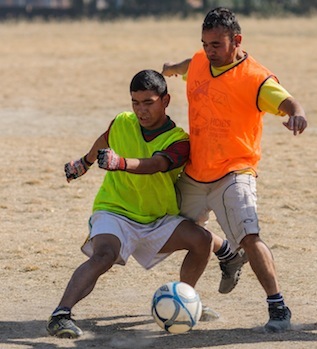 The staff team were knocked out in the first round – no surprises there! 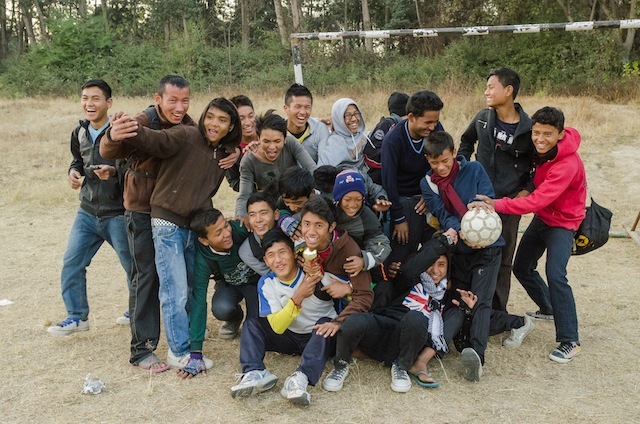 However, a big surprise came as Manaslu boys showed great heart and made it all the way to the final against the Youth’s A Team! The crowd roared in support from the sideline but the Youth’s were too good and won 4-1! 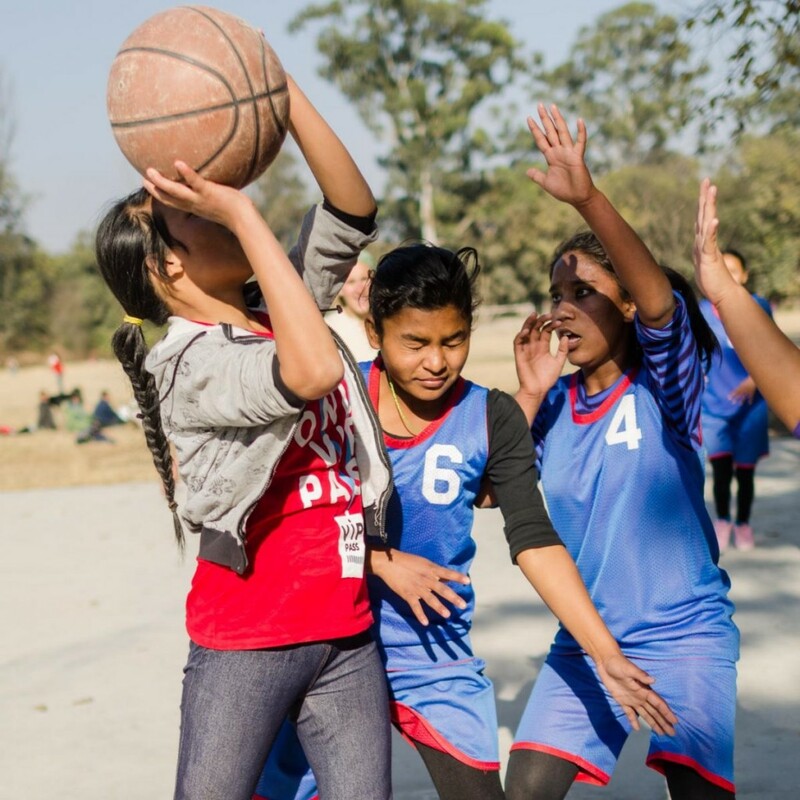 Meanwhile, the Gauri Shankar girls challenged the female staff and volunteers to a Christmas Basketball match. The staff team started out well, taking the lead 6-0 but Gauri Shankar soon stormed ahead to win 10-6! Well done to all the teams and organisers of the event – it was a great day out and wonderful to have everyone together on Christmas Day! 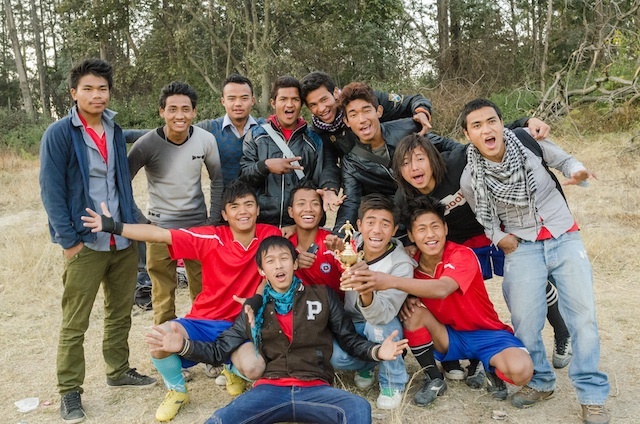 The winners of the Christmas Cup 2012 - The Youths! 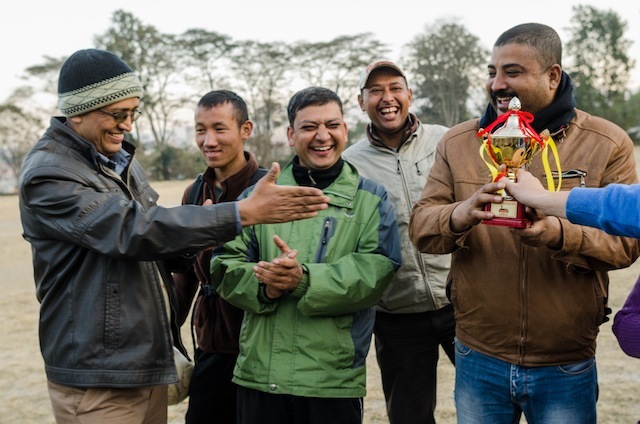 Tensions were high during the Staff vs Annapurna match! 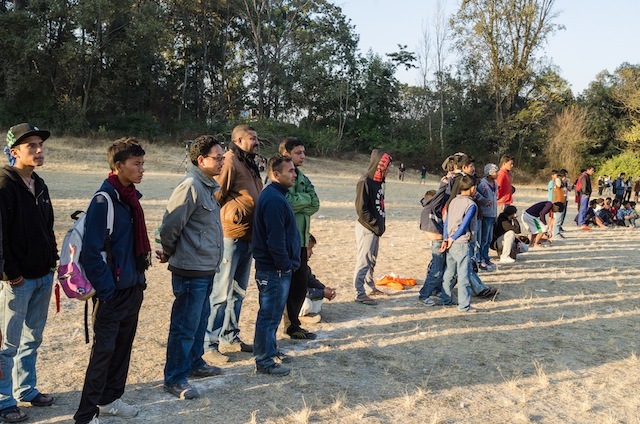 Kumar's penalty was a tense moment! Looks like Rabin is in charge against the House Manager! 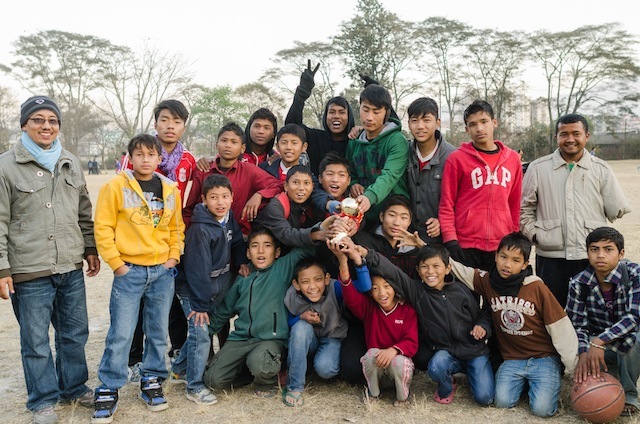 Runners Up - the Manaslu boys! 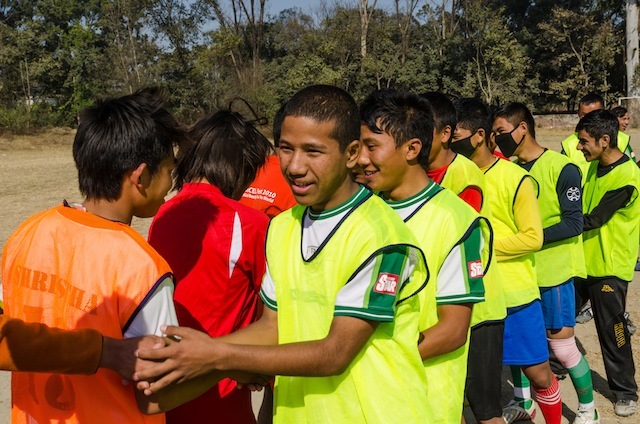 Annapurna team and the Youth team shaking hands before doing battle! 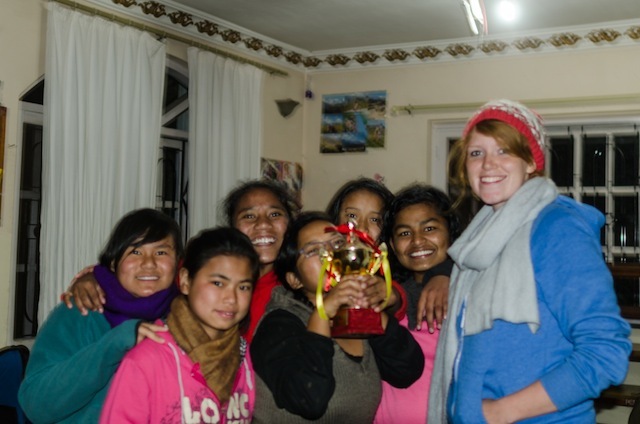 Éadaoin reluctantly awarding the Gauri Shankar girls the Christmas Cup Trophy! Karsang makes a near miss for the youths. Dolma helped out the staff team when they began to run out of steam! 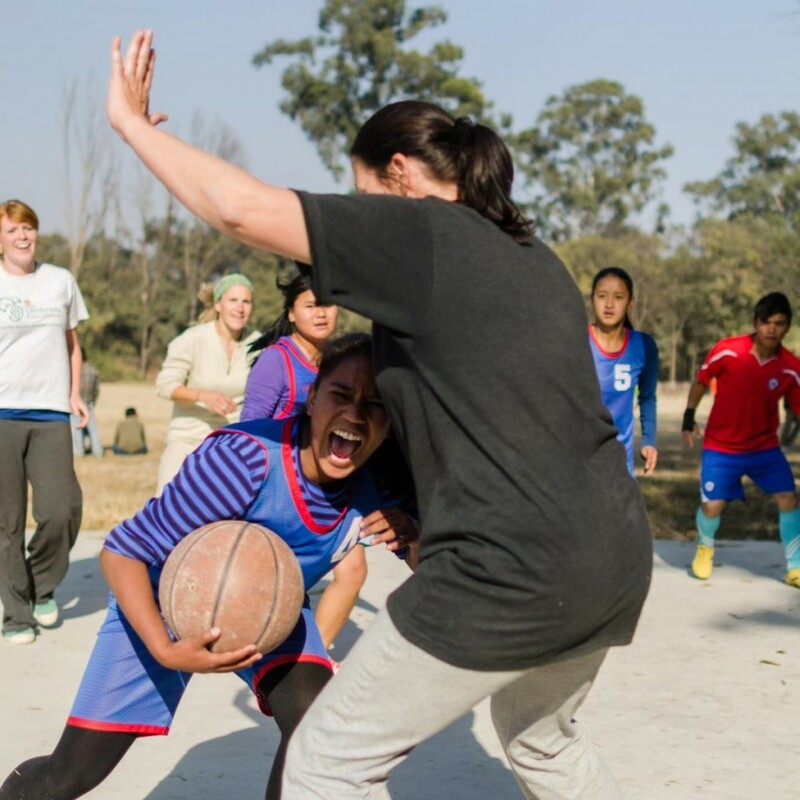 Kavita, from Gauri Shankar, getting frustrated as she is blocked by Niamh!